John Chiang recalls watching the Watergate hearings when he was 11 years old. They eventually led to the resignation of president Richard Nixon. That’s when the young son of immigrants from Taiwan decided he wanted to be a lawyer. He began to see the American political process up close when he was appointed to the California Board of Equalization, which deals with taxes, in 1998. His career has gone up from there, and after serving eight years as state controller, he was just elected treasurer of California. He lives in Torrance, California, with his wife, Terry. Chiang is on a tour of Israel with The Face of Israel, which aims to “deepen understanding of Israel amongst public leaders and decision makers around the world,” according to CEO Ariel Bulstein. We sat down at the lounge at the Inbal Hotel for a discussion about his experiences. This isn’t Chiang’s first time in Israel. He paints a picture of a long relationship with the Jewish community and deep knowledge on Israel subjects. Born in New York to immigrant parents, he moved to Chicago and recalls being the first Asian-American family in the neighborhood and suffering discrimination. When Chiang graduated law school in 1987, he was already involved in politics. He worked with Jewish members of Congress, including Mel Levine, and he was chief of staff for Brad Sherman. His brother and sister both worked for Howard Berman, a Congressman from California. These experiences honed his interest in Democratic Party politics and an understanding of the Jewish people. “We have extraordinary leadership in the Jewish community, reaching out to Asian community to build partnerships,” he said. “When I was a young attorney, AJC [American Jewish Committee] and others did panels and seminars with the Asian American community to build those friendships.” Chiang recalls his relationship with Lou and Carmen Warschaw, who were active in Jewish causes but also causes supporting Asian-Americans. He sees diversity and a fabric of minority groups being a point of strength for California. “California is an incredibly diverse economy, and you have to make sure they are up to date and have an education,” he said. “We have a lot of immigrants, and you bring those people up to speed because they have influence. We share personal and human experiences.” Chiang has spoken frequently to Armenian groups and sees a link between their tragedy and suffering in 1915 and the persecution Jews have faced. He frequently mentions the impact of seeing Yad Vashem on his visit. 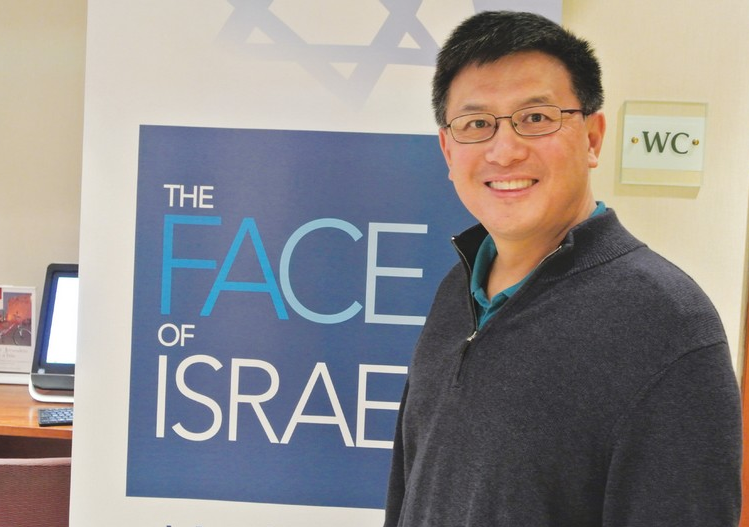 But beyond a connection with Jewish Americans as a fellow minority from the US, Chiang sees California as a state that can learn and share with Israel. California would have the eight-largest economy in the world if it were a country. Like Israel, it was carved out of the desert, he said. Currently, California is suffering a terrible drought, and on a tour of the Dead Sea, Chiang saw Israel’s prowess in harnessing the desert and succeeding against all odds. “It provided an advanced perspective,” he said. “Israel is a critical partner of California, and the PM and our governor have a partnership, and we work together over water… Israel is known for desalination and water technology, and we went past agricultural lands and went to Dead Sea. We saw palm trees. That is important business for CalPERS, the California pension fund that manages $295 billion in assets. Chiang is one of its board members. It currently has $545 million invested in Israel through public-equity, fixed-income and private-equity investments, according to Face of Israel. In addition, CalPERS, a teacher’s retirement system, has $281m. invested in Israeli public and fixed-income securities. Overall, California’s exports to Israel exceeded $23b. in 2013. “You have the political tensions,” Chiang said. “Students talk about divestment from Israel. There are groups that challenge this premise. We have to also make sure our money isn’t investing in terror organizations. In California, we have an Iran divestment act, [for instance].” Boycott, divestment and sanctions groups occasionally try to raise the issue of divesting from Israel, but Chiang said with education and knowledge, he and his fellow lawmakers have succeeded in pushing back against these initiatives. “Support for Israel will continue to be bipartisan,” he said. Chiang said firsthand experience on a trip like this is essential to getting Americans to understand Israel. “The natural beauty and abundance and history” made an impression, he said. His colleagues who came on the trip have been deeply impacted by what they saw, despite having arrived a peak of tensions between Palestinians and Jews, he said.